It is getting close to heading to the starting line. Richmond, Virginia on November 14, 2015. Been grateful to #runasone with so many over this journey. When I think about it we all have the ability to positively impact lives of those we cross paths with and be remembered. You can push through your own struggles and setbacks, and it can be rewoven into purpose. Purpose driven miles, and grateful for each one whether it be a person, people, country, organization, matter of the heart, school, team, or lesson learned that has inspired and impacted me along the way. Mile 1 – Meg Menzies: I asked Meg’s husband Scott if he would not mind sharing what mile they were on when they went out for their run on January 13, 2014 before Meg was taken from his side. He graciously shared that it was Mile 1; for you Meg in the streets of your hometown. Your life has reminded me that lives can impact others, even those we have not met and still are. Grateful for #megsmiles, Mile 1. Mile 2 – My Mom: The long road to reconcile was worth every mile, from coming home from school one day when I was seven and her not being there, to a childhood growing up in Asia without her, to almost having her life taken at gunpoint before my eyes, to what we have now. Amazing. Mile 3 – My Dad: ‘Can’t have quality time without quantity time.’ That was what my Dad would say to me, and man did we ever! He was very purposeful, always encouraging my self-confidence and his time with me was a priority to him. He knew it was not the ideal situation for me growing up apart from my mom and brother on the other side of the world, and it was certainly not the plan. ‘I am convinced that life is 10% what happens to me and 90% of how I react to it. And so it is with you… we are in charge of our Attitudes.” – Charles Swindoll. You lived it, I saw it, thanks Dad. Mile 4 – My brother Will: “I wish we could have grown up together.” We shared the same blood however our lives were torn apart and we were separated too soon. Siblings are meant to grow up together. Our shared experience has led us to being there for one another, and doing our part to not forget the painful lesson we learned that has strengthened our brotherly bond. You are a great brother Will, thanks for being there. Mile 5 – My son Will: Son, you make it look easy. Though as I live through each day with you and your sisters, I know it’s not. So heartwarming as a Dad as I’m inspired by your work ethic and how you handle yourself. Unflappable. I love you buddy. Let’s go camping and fishing soon, I know you need some time away from your sisters…I get it! Let me get through Mile 5 first though. Mile 6 – My daughter Rachel: The middle child, and though there are days I wonder if I should transform my SUV into a FedEx or UPS delivery truck getting you to where you are going, how great it is to see how you have become such a good friend to others, and truly listen to them when needed. As for our dance moves at stoplights in the car, when running this marathon going to need to hold off on the ‘upper dougie’..need to save the energy. I Love you! Mile 7 – My daughter Zoe: My youngest, and it is going by all too soon. There is something about having daughters that adds another dimension to a man’s soul, it softens and adds tenderness and at the same time makes it more valiant and protective. Grateful to you and Rachel for that. After we returned from our latest Y Princess Longhouse camping weekend away you said to me “Dad, I want every weekend to be a Longhouse weekend.” So do I Zoe…I love you and Mile 7 for you! Mile 8 – Single Parents: Always amazed how you do it. As a single parent, their world rests on your shoulders; it is if you are wearing an invisible cape. You need to be adaptable, versatile, and all at once; parent, friend, mentor, cook, coach, pastor, banker, doctor, healer, protector, handyman, and a warm hug and shoulder on which to cry. It is always your turn. As a child raised by one, and one on that journey now, I have a heart for you all and can say that I am truly grateful for the strength gained and how my focus as a Dad is so clear. Mile 9 – Kids of Single Parents: It was not the plan, was it? Though not having the other parent in your life may be a conclusion for your Mom or Dad, it is uncertainty for you. They are both part of who you are, and as I have experienced a soul can be conflicted. Be reassured that tomorrow does hold out her hand and that ‘strong people don’t have easy pasts’ (C.S. Lewis). Having been raised as a kid of a single parent, my heart is with you. Mile 10 – Third Culture Kids (TCKs): How many times have you answered the question ‘So, where are you from?’ and wondered why can’t it be easy. When I say Singapore, I usually hear ‘You don’t look Asian.’ I call it the puzzle identity that falls into place one piece at a time. For me it was discovering who I was with all the dynamic factors in play that were ‘out of synch’ with others from my country of birth. You may be running in search of who you are. Rather than be on the run searching, why not embrace it. Be it the island of misfit toys or squares with round edges, I have come to appreciate being a blend of Asia and America as a TCK. My heart is with you as you navigate and face adopting a country that becomes your home and significantly shapes your life and who you are. And I’m hopefully at Mile 10. Mile 11 – Singapore: When my Dad and I arrived, we were hoping for a new tomorrow setting out to make the best of it as father and son apart from my mom and brother. You are in my heart and run through my veins, I became a blend of your Asian culture and my Dad’s. Your journey from third world country to first happened right before my eyes; everyone does know your name. The Lion City is Lion Hearted. Growing up on your shores I was able to experience relationships and gain perspectives I never would have otherwise. Can’t wait to see you again in 2016! Hopefully will make it to Mile 11 beforehand. Saya suka anda dan jumpa lagi Singapura! Mile 12 – Cameron Gallagher: It happened at mile 12. Cameron needed to stretch her legs, and turned to her best friend and running mate Abby Donelson and said “Let’s Finish This.” They crossed the finish line together, then something was not right and she went to her parents and fell into their arms and died of an undiagnosed heart arrhythmia. Cameron spoke of an idea she had to her parents the week prior, a community race to promote childhood depression awareness as she struggled with it herself. Words spoken at Mile 12 became a mission for SpeakUp, a nonprofit that works to cultivate awareness and understanding of teenage depression and anxiety, and encourages teens that it is OK to Speak Up about their personal battles. Always knew this was going to be your mile Cameron! Mile 13 – CZC Family and Little Buddies: Always look forward to Comfort Zone Camp, as I have learned that being there for a child in need who has lost a parent or sibling is one of the best investments one can make. I have shared with them in the bitter and the sweet of life; what love is and how it truly looks and works; learned to be more compassionate and be made humble; and reassure that there is still much to look forward to. The experience each and every time opens my eyes and heart for others as I look through the eyes of my little buddies and CZC family. Thank you for inspiring me, this mile is for you! Mile 14 – Mark Isabelle and St. Baldrick’s: Diagnosed with leukemia at age 4, Mark was in the fight of his life. He and his family are my neighbors, so it hits close to home, literally. Looked in his eyes everyday as he got on the school bus with some of my kids. He would go with me and stand beside as I got my head shaved with St. Baldrick’s every spring, which raises funds for child cancer research. It is now in remission and Mark can join me as we get our heads shaved together. What he and his family have faced has been with love, faith, and courage, and they have inspired so many others, me included. Lose my hair, find gratitude for these kids and their families. Thanks Mark. Until #teamchickmagnet gets it done again, this mile is for you buddy! Mile 15 – Running Buddies: I ran a race in New England this summer that brought home the strength of #runasone. The race is for John Kelley who was the 1957 Boston Marathon winner and on two US Olympic teams. He coached Amby Burfoot, another running legend and winner of the 1968 Boston Marathon. I had the pleasure of meeting Amby at the race, and he still runs remembering his coach and good friend John Kelley, who passed away in 2011. What has been validated during all these training miles is the importance of encouragement and having others around you; and I could not have reached this point to be prepared without those that ran with me, encouraged me to keep going, and were always there whether we ran together that day or not. Thanks and this mile is for you! Mile 16 – Forgiveness: The boulevard of broken dreams, hearts, and lives. The Wronged Road, sound familiar? Been on it too, going the wrong way. Feels justifying to stay, and don’t feel like getting off it either. Wronged Road can be deceiving, with the perceived power and justification that the offender is being held accountable for their actions. Then I hit a wall and realize the further I travel down this road, the more I can’t move: shackled and bound by a time and place someone else has chosen. It weighed me down and imprisoned my soul as I chose to stay on it and turn my back on my future. Do you need to find a bridge to cross? Does this journey sound familiar? If you want to break free, need to set it free. You won’t feel like it as the pain caused is certainly real. If you so choose, need to give something away that will take everything you have. It starts with a decision and your will to carry it out. Forgiveness. Whether it is on this mile or another, set yourself free and run for that bridge. Mile 17 – Radical Gratitude: I remember the day after losing my job in 2009. With all that was going on around me at the time, felt as if the sky was falling. That day, June 1, 2009 went with my youngest daughter, having just graduated pre-school, to a park and had one of the best days ever. Swings, slides, stories, picnic lunch, staring and talking about the clouds. I came to realize after reflecting on that day there is a difference in feeling and being grateful; a radical difference. Being grateful grows from the inside out so that it becomes part of who you are not just something you feel and do; it involves having a deep appreciation for everyone and everything around you realizing that life is made better by so many people, things and events that too often go unnoticed; and it provides a perspective from which we can view life in its entirety and not be overwhelmed by living in our own head too much and temporary circumstances. No matter what happens, if you dig deep you will discover as I did there is really plenty for which to be thankful. Know I’m going to be digging deep at Mile 17, and being grateful for it! Mile 18 – Not Listening to Odds: There are certain quotes that always seem to stick. “Never tell me the odds” is one that comes to mind. I never want to be told the odds, never sought to understand them anyway. I certainly understand doubts, they are natural and we all have them at times. What odds allow is for others to define you. In reality it seems to me it applies more to the one doing the defining as they are in fact limiting themselves. I’m sure many of you have had experiences where odds were not favorable, and wonder how you did it. If I had to guess, faithfully pressing on is one way. For mile 18, that’s what I will be doing. Mile 19 – Fueling Up: Have realized that strength does not come from success, whether it be a run, running a house alone, or anything else. The long runs long runs on the weekends, midweek, and hill repeats requires fuel; every mile, quarter mile, tenth of a mile. What is strength’s fuel? Struggle. And without struggle, there is no strength. Let it be the fuel to strengthen you through the ups and downs of the ocean waves, or marathon, that life brings. I’m going to be fueling up on it for Mile 19. Mile 20 – Embracing the Struggle: Great things can come through pain, though this does not sound right at first read. However I have come to appreciate and see a purpose through the pain and how faithful God has been to carry me through. It is natural to only see troubles and pain, rather than results of enduring the struggle. As I contemplated whether or not to do another hill repeat, my mind has gone from rather than run from it, run to it. Embrace the struggle as you will be grateful for the strength. Mile 20, first half of marathon is done and will be embracing it from here on out! Mile 21 – Leela and Raj: She calls me her godson, not because of any formal ceremony rather recognizing how our lives crossed paths. When we moved to Singapore, a family lived with Dad and me that became family. What I love about Asia and has become ingrained with me is the culture of hospitality and generosity. Leela and Raj (they adopted a son, Mohan) became family to us. Raj did not speak any English, and I could not speak Tamil. We tried Malay however it did not seem to matter, we loved being around each other. After around 5 years, I came to the U.S. to visit and my Dad got a call we will never forget. Raj was murdered because someone wanted to borrow some money. Violent crime is very rare in Singapore and his assailant was caught and did not live long after, however that was of no consequence to me. I still look at his pictures, and in touch with Leela and Mohan…grateful my kids met them both. This mile is for you Raj and Leela. Love you! Mile 22 – UWCSEA: The United World College of South East Asia, one of the schools I attended. Some of the best classmates and teachers from all over the world. Name a country, and you will be right. Still in touch with quite a few and as a tribute to our days together, at mile 22 my friends! Mile 23 – SAS: Singapore American School, and am grateful to have lifelong friends and classmates that are always there, just as above. The classrooms, halls, fields (and cafeteria!) of Kings Road and friendships forged will always be with us. It is if we can always to back to a place only we know, and do when we get together as if no time has passed. Getting close, Mile 23! Mile 24 – Church Family: My church home is in the inner city, a multi-denominational church where I worship alongside people of different nationalities, races, and socioeconomic backgrounds. Not named after a street, rather a timeless place. Where we live and our ethnicities have no bearing on how we relate to each other. Our blood is red. In many ways reminds of my church home in Singapore. This mile is for my church family in Richmond and Singapore…need faith to know I will see the finish line soon! Mile 25 – MTT EnFuego: My Marathon Training Team! Little did I know when I saw my name on a list how bonded we would become by running together every week. Sportsbackers, the coaches…Greg, Elliott, Rich, Michelle, and Laura. There is no way I could ever dream of attempting a marathon run without my EnFuegos. Always inspiring, encouraging, serving, and leading by example. Thank you! Mile 26 – The #wolfpack: As we ran every Saturday, we started running together and it became us. The wolfpack. We enjoyed just being together, running, laughing, telling stories, asking ‘what ifs’, being chased by squirrels in the Fan, surviving the chain link fence of doom, chugging chocolate milk after our long runs, sitting down after 16, 18, 20 milers and risking not being able to stand up for a while, and encouraging each other that we can all get there. Ashlee, Kelly, Sarah, Matt…we are at Mile 26. I would not be here if it were not having y’all by my side each week. “For the strength of the Pack is the Wolf, and the strength of the Wolf is the Pack.” ― Rudyard Kipling, The Jungle Book. 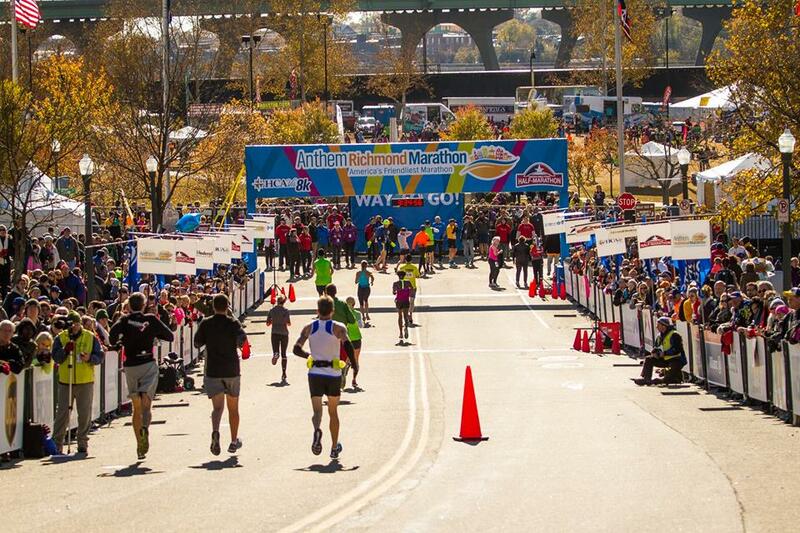 26.2… The pack is coming for you! Mile 0.2 – Richmond, VA USA: My first marathon. If I was ever going to attempt one, wanted it to be where I call home now. This place has become part of who I am, and love it here raising my kids. It has welcomed this Third Culture Kid with open arms and as one who was uneasy as I transitioned back to my country of birth, I love this life right here in RVA. This last 0.2 is for you…thank you! Your life can have impact, your story matters, and each mile above are some of those that have impacted, encouraged, challenged, and inspired me to honor myself to be a better person, dad, son, brother, cousin, friend, running buddy, 3am friend, and teammate. I agree with C.S. Lewis’ observation that there are no ordinary lives; setbacks are not final conclusions and what seems to be ordinary things can be quite extraordinary indeed. Challenge yourself to be a better version of yourself, be willing to learn, be willing to teach, be willing to sweat, be willing to struggle, be willing to believe in yourself, be purposeful, be vulnerable, be a chance taker, and be grateful for it all. 26.2…my eyes are on you. You’re going to be amazing, Ed! Enjoy every step. Thank you Robyn. Your MCM run was truly inspiring and look forward to meeting you in RVA!